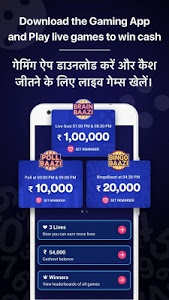 BaaziNow is a Live Free Games App by Times Internet Limited where you can play trivia quiz game show, bingo game & guess all answers with millions of other users to earn money & get instant cash. 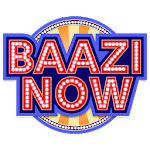 BaaziNow, gaming app features BrainBaazi - a live trivia quiz game show, BingoBaazi –a live bingo games show & PollBaazi where majority wins. 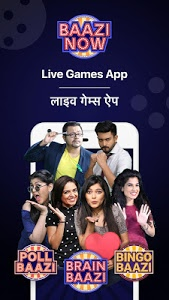 Get ready for live quiz game, fun quiz & bingo game to play online! 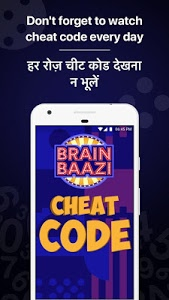 Download BaaziNow app, play BrainBaazi - live quiz & test your trivia quiz skills at 8:30 PM for Rs. 1,00,000 everyday & afternoon show at 1.00 PM for Rs. 20,000 Monday to Friday, bingo game at 4.30 PM for Rs. 20,000 or PollBaazi at 3:00 PM for 5,000 & Rs. 9:00 PM for Rs. 10,000 daily. 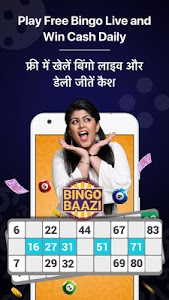 Refer BaaziNow online trivia quiz games app, bingo game app to your family, friends & colleagues for an extra life. 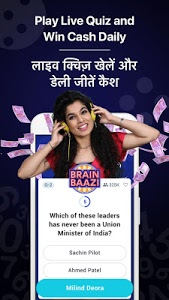 BrainBaazi is one of the most innovative online trivia quiz games in India where you compete with millions of players in live quiz game. The host asks questions, which you have to answer correctly to win the cash prize. 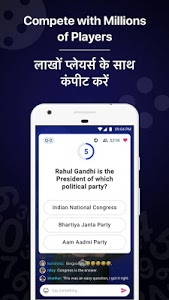 How to Play Live Quiz? 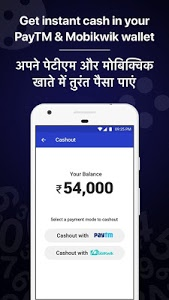 Similar to "Live Quiz Games App, Trivia & Gaming App for Money"